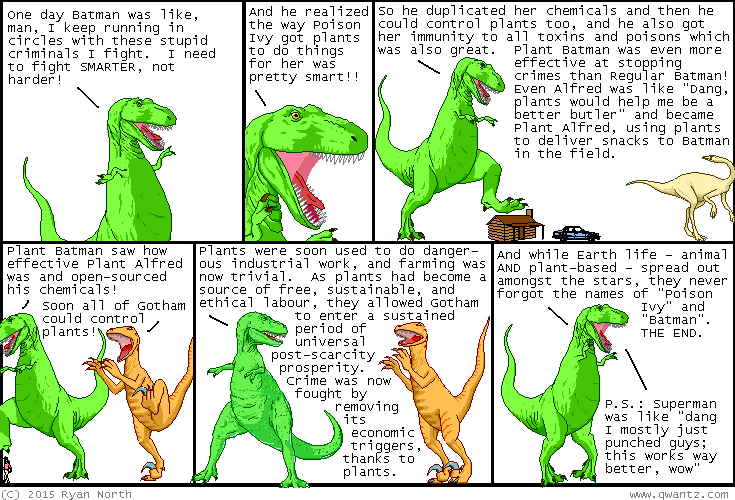 Dinosaur Comics - September 16th, 2015 - awesome fun times! –Does anybody here like to STOMP on HOUSES?! September 16th, 2015: This comic was going to give Batman the powers of all his enemies until I realized that Poison Ivy pretty much did the trick. Not bad, Miss Pamela Isley!